This novelette is 8300 words long (approx 30 printed pages). A fun short story, a mystery-western created for a Halloween telling. Even if it goes back up to 99 cents its well worth the read! This short story features the main characters from the author's Have Gun, Will Play (A Mick and Casey Mystery), which I read earlier in the year. 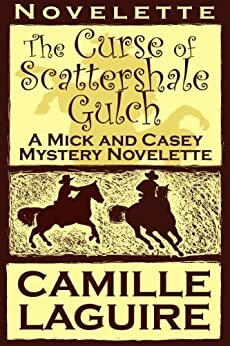 It's a fun Western with memorable characters so you may want to check out the novel if you like the short story. This tale does stand alone pretty well though. 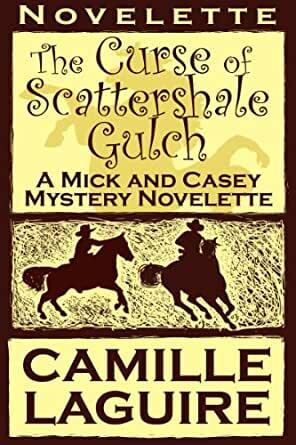 It starts out a little slow with some character backstory but the accessible writing style is easy to get into, and things move along into an adventure that should be enjoyable for mystery and western fans. I won't get into specifics since it's not a long story, but you probably won't regret picking it up and giving it a try. This was quite an enjoyable download. I used to like reading Louis L'amour books form the library. This short story was quite enjoyable. The central characters are interesting. It is quite well written. The story wasn't that brilliantly realised but I thought that it showed quite a lot of promise.